Address: Vivocity, 1 Harbourfront Walk #B2-27 & 27A Singapore 098585. A throwback entry of what happened last month, January 2017. A quick meet up with two friends before the Chinese New Year whereby I handed the aromatherapy essential oils bought from Bangkok to one of my friends. Upon arrival at the Vivocity, I was given a choice to choose between the Hong Kong food and the Japanese food which both of the restaurants are located at Basement 2, side by side. Unable to decide which restaurant to go for dinner since I am fine with any food, we played the rock, paper and scissor game to decide for us. And finally we headed to the Mak’s Noodle for wanton noodle. We asked the waitress for a recommendation and she said the best seller is the beef brisket and the dumplings wanton noodle (dry version). We chose our food based on her recommendation. In Hong Kong, it is called ngau lam mien. 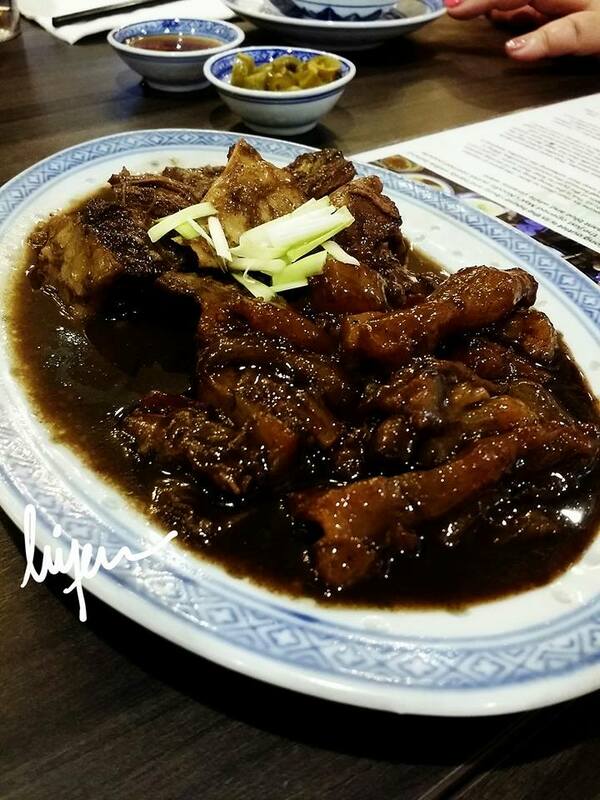 It is a famous food among the Hong Kong people. It is really delicious although it is quite oily for me. The sauce is good to mix it with my wanton noodle which it slightly coated with oyster sauce for the dry version. The sauce is the best of everything in this dish. Although the waitress suggested us to try the dumplings wanton noodle, I still chose to try the original wanton noodle. 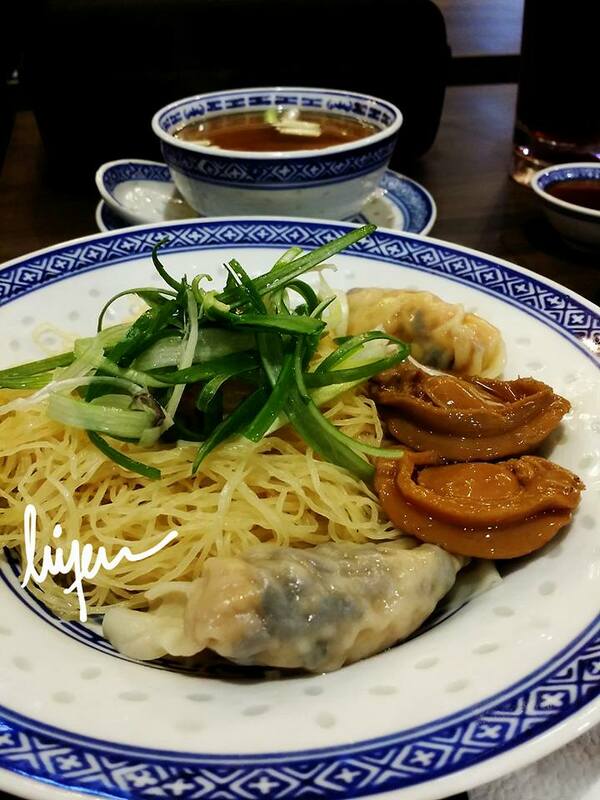 For me, by trying their wanton noodle for once, then I will know whether it is worth to visit again this restaurant. I find the noodle is slightly soggy. I prefer noodle which is springy, not wet. The wanton size is medium, unlike those in Hong Kong, which is large, as large as a ping pong ball. The ingredients are fresh. My friends tried the dumplings noodle which comes with two medium size abalone. 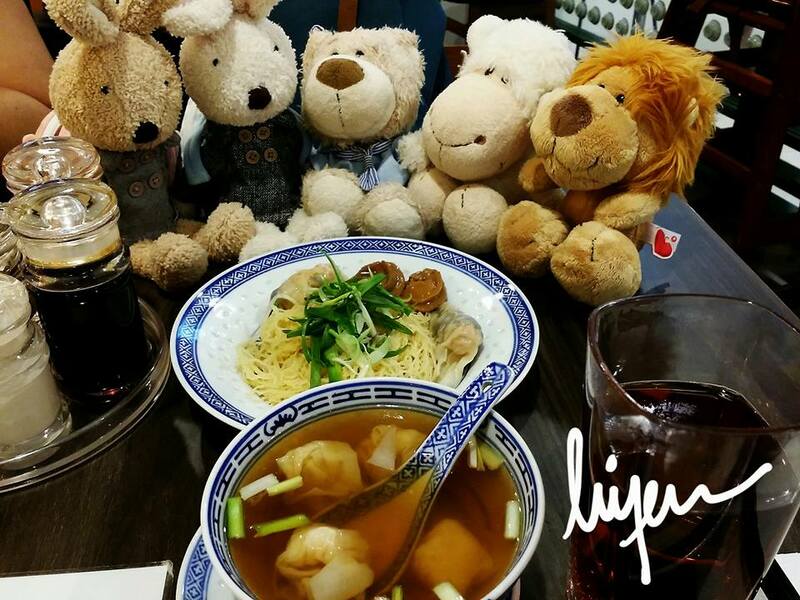 It is their special meal for Chinese New Year. My good friend gave one piece of the abalone for me to try. Although, I am not a big fan of abalone, I find the abalone is well-cooked,easy to eat and well-tasted. The restaurant offers desserts as well which you can try after meal. I still prefer the wanton noodle I tried myself in Hong Kong, Tsim Chai Kee Noodle. *Finally a group picture with friends and the food.